This part of the museum introduces the visitors to the sacred space of the synagogue, where the community studies, prays, meets and celebrates its festivities. Here, elements of worship and rituals, as well as archaeological finds and documents (original artifacts and reproductions) related to the synagogues of Girona, are displayed. Girona limestone. 14th century, Girona (cession of the Archeology Museum of Catalonia. Girona). 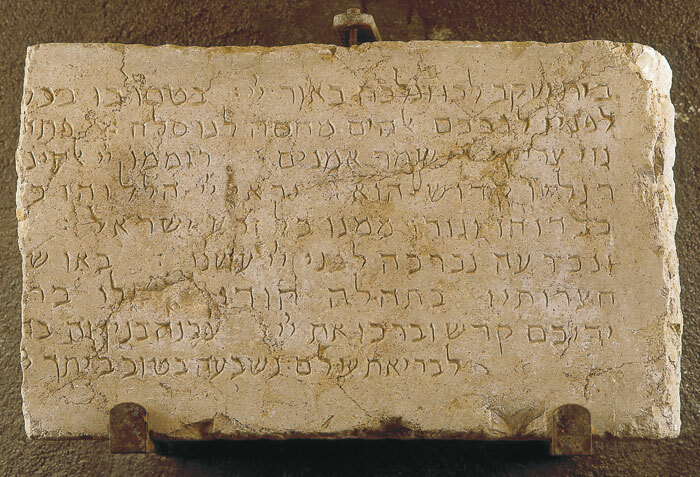 The inscription must have been situated next to the Torah ark (Aron ha-Kodesh) where the Torah scroll was kept, in the great synagogue of Girona in the 14th century. It is a call to the faithful to follow the commandments of Jewish law, and it starts with the Bible verse "People of Israel, let's live by the light of the Lord" (Isaiah 2:5), and it continues with some verses of the Book of Psalms. Ink on parchment. 19th century, Gemany (cession of the Barcelona Jewish Community). 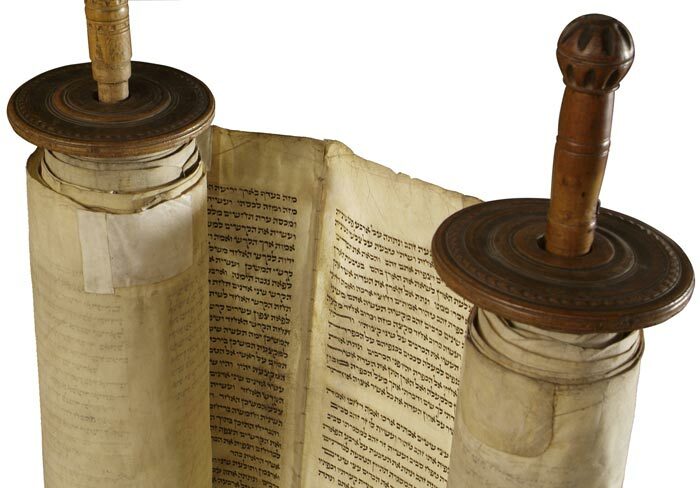 The Book of Law contains a scroll with the first five books of the Bible, constituting the basis of the whole Judaism. The Torah (Law) is the most important and essential part of the synagogue. 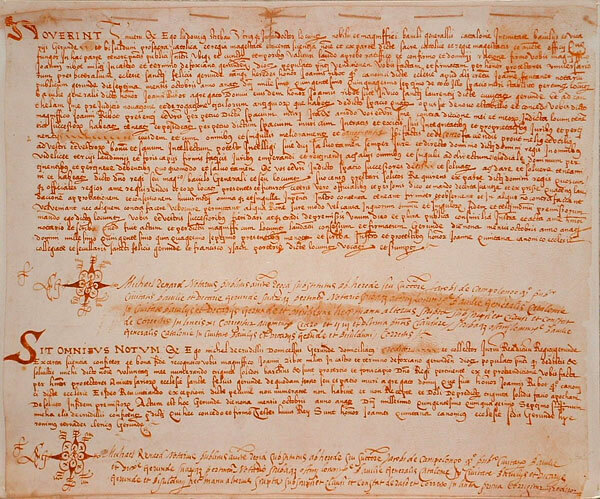 Ink on parchment, in Latin, dated 10th July 1492, Girona. Girona Municipal Archive (facsimile). As a result of the Decree of Expulsion issued by King Ferdinand concerning all the Jewish inhabitants of Catalonia, the leaders of the Jewish community sell the synagogue premises (which are the property of the whole community) to the canons of Girona Cathedral. The sale is completed at a price of 300 pounds.